The portico idea is very loveable. What is a portico? 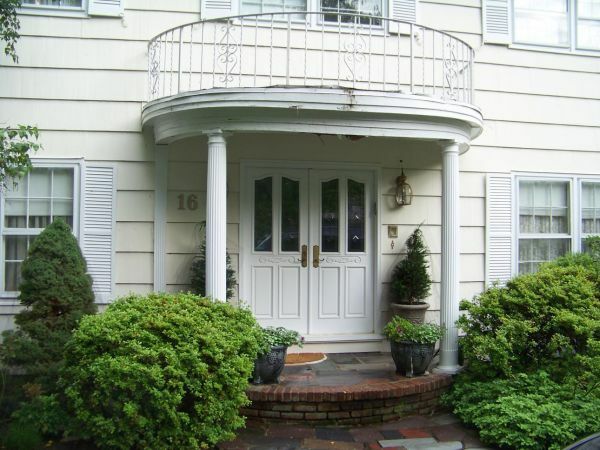 A portico is the Italian name for a porch which leads to the entrance of the building.This type of design could only be seen in the western countries, but now it is equally popular worldwide. Many office buildings are also opting for it! A portico is usually considered as a place where one can have his morning tea or in the evening to have some wine or coffee with warm snacks. One can have a hammock with some wicker chairs or arm chair for decoration. Some prefer to be classier, so design the portico or the verandah with expensive chairs and cushions. The portico is actually an inviting entry to the guests so it must be updated with some latest designs according to one’s budget. One can make the pathway with gravels or light colored stones with green garden on both the sides. Some potted plants of seasonal flowers just brighten up the house one can’t even think of. Adding lanterns on the ceiling of the portico are a wonderful idea. Landscaping is very important on the walkway. Clever input of the Doric columns knit together with the interior of the home makes the look of the landscaping a real mature one. 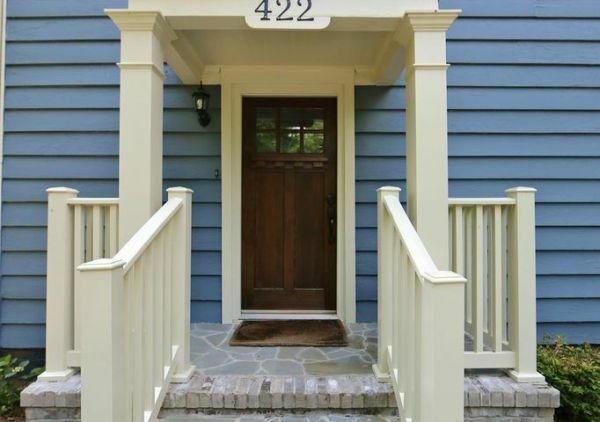 The color of the home and outside detailing should be carefully planned. If the house is light colored then go for a wooden door that makes it classy. 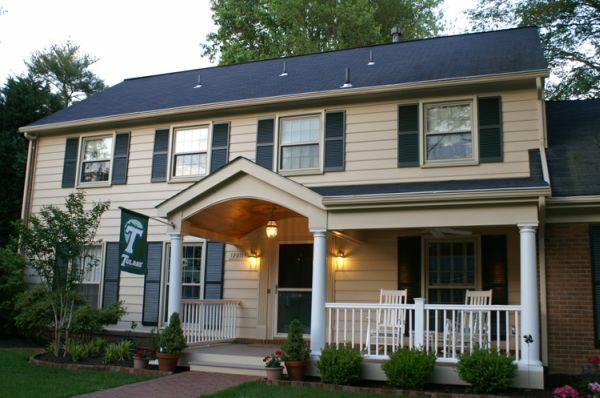 Most modern homes now prefer to have a flat façade with a mix of the portico. 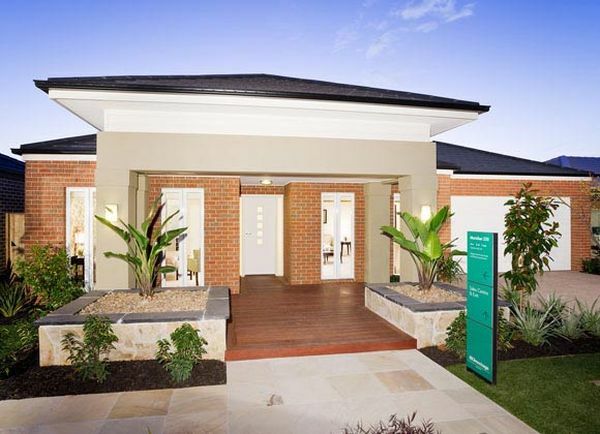 Brick portico houses are also very trendy. The red colored brick walls are a wonderful contrast to the light, contoured walls of the house. The lush green trimmed pathway shows the taste of the owner and adds an elegant backdrop for the summer living. An Intelligently planted shrub makes a good boundary too. The owner can have a different awestruck idea for the portico. Quite innovative too! 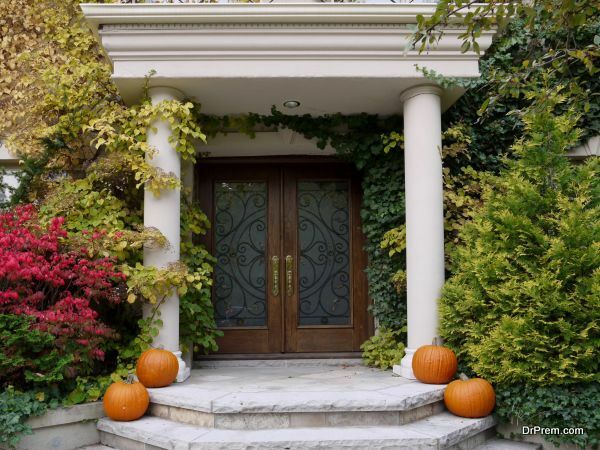 Make the portico with gray granite or stones and shade it with bamboo. Decorate with terracotta lanterns and add bamboo shrubs around the home. It gives a Mediterranean look. Every modern western home prefers to have a Portico type concept as it is not only classy and elegant but very green and colorful too. The portico is actually a walk away towards the entrance door with a flat or designed roof usually supported by simple or Doric pillars.